A contemporary overhaul of an existing victorian hallway & roofspace. 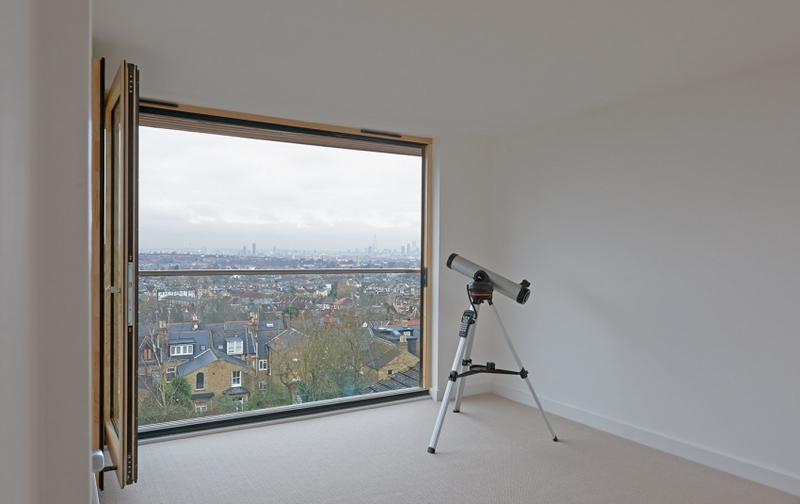 We were appointed to make the most of spectacular Central London views whilst providing flexible living space and improving the energy efficiency of the upper part of the house. The dramatic top lit two storey circulation space brings light deep down into what was a dark stairwell and hall. Full height glazing and a glass balustrade provide uninterrupted views of the city, but a cleverly place internal glazed screen in the hallway really maximises the view from the back of the space. The attic room is subdivided to create separate working and relaxing areas, and can be converted into a guest bedroom when required. The centrepiece of the hall refurbishment is the new staircase between the first and second floors. Designed by the practice and built by andwoodcraft, the open tread and baluster staircase allows views through the flights, and lets light down into the hallway below. 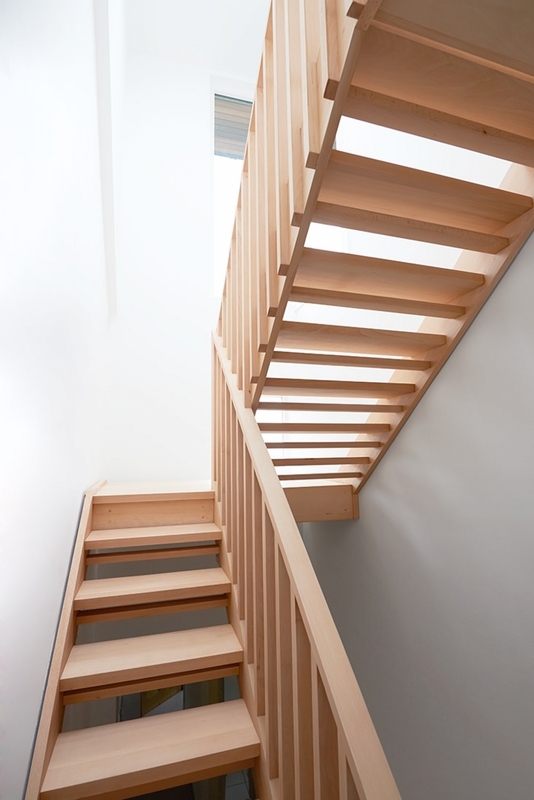 The staircase is constructed from solid beech, and features an interlocking set of rectangular balusters. To continue the hallway material palette, the attic floor was partially finished in matching handmade beech flooring. The scheme was completed on budget, at the end of 2014. 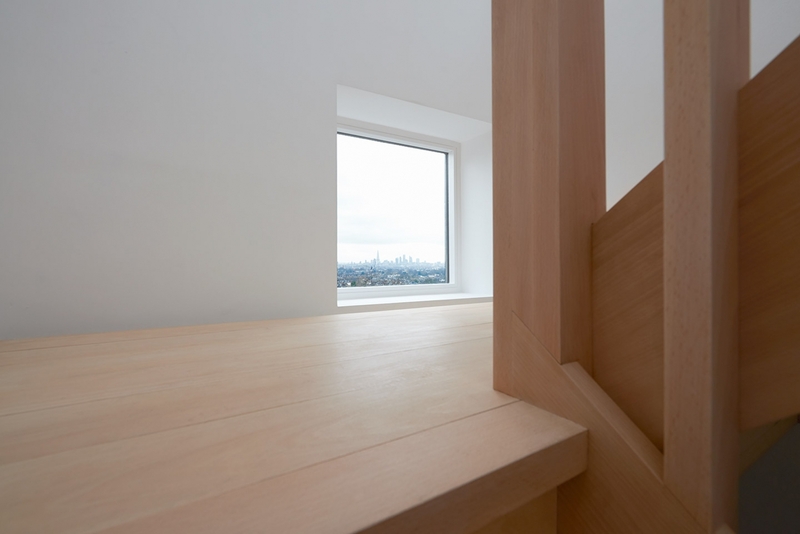 It was a finalist in the 2015 LABC Awards for ‘Best Alteration to an Existing Home’.